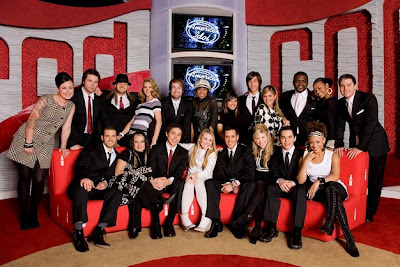 The carnage begins as FOX's "American Idol" dumps the first 4 out of 24 contestants. Plus Paula Abdul's new video premieres. Check it out, after the jump. Garrett Haley, Amy Davis, Colton Berry and Joanne Borgella were the 4 contestants who lasted only a single week of the semifinals. Haley and Berry were 2 of the 4 teenagers in this year's somewhat younger group of male contestants. "I would say, get a good job and then enjoy singing, because I don’t think you’ll make a successful career out of it." Finally, here is Paula Abdul's new video which premiered during last night's show, "Dance Like There's No Tomorrow". when I saw the Paula music video OMG litterly couldent stop cyring it so PATHETIC!!!! 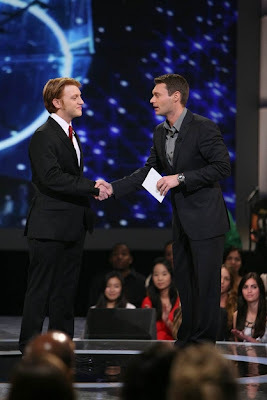 I was bummed that Colton went home. I don't think he would have won but he confused me - both as a singer and his personality. I think they probably asked him to tone the "gay".